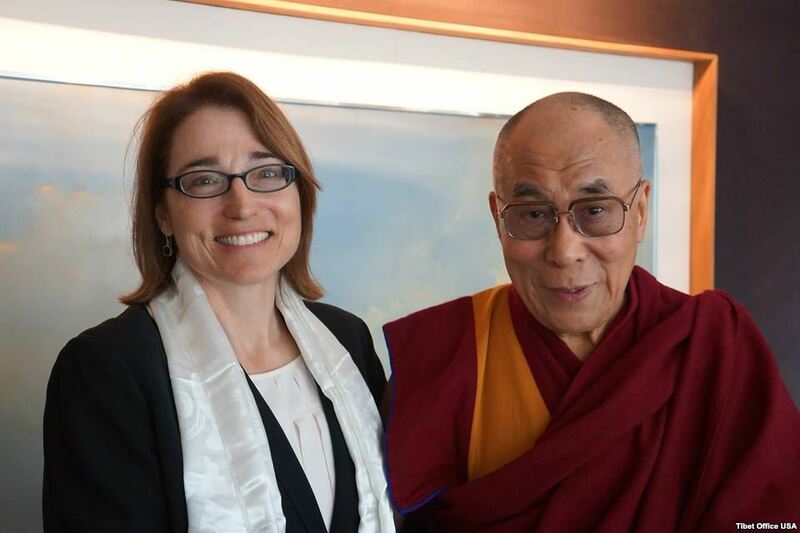 Sarah Sewall with the Dalai Lama. (TibetanReview.net, Sep23, 2014) – The US Special Coordinator for Tibetan Issues, Ms Sarah Sewall, has said Sep 18 that she was planning to visit India and Nepal in November in connection with her work to promote and protect Tibetan rights and culture. “When it comes to being a voice for the voiceless, there is no stronger example than our persistent call for the protection of the rights of Tibetans to practice their faith freely,” she was quoted as saying while addressing the House Oversight and Government Reform Subcommittee on National Security. She has spoken of her role in coordinating US government efforts to promote an end to interference by authorities into the religious affairs of the Tibetan people. “In this role, I promote the policy of seeking to assist the preservation of the distinct religious heritage of Tibetans,” she was quoted as saying. She has spoken of having met with Tibet’s exiled spiritual leader, the Dalai Lama, in February this year, on the second day of her office. And she said she will meet with Tibetans in exile during her planned visit to India and Nepal in Nov 2014. She has said religious freedom, as well as the broader spectrum of human rights, were a priority in the US government’s engagement with the Chinese government, with the issue having been raised during last year’s US-China Human Rights Dialogue in China, and being continuously documented in religious freedom violations in the State Department’s annual reports to the Congress.